Friends of the Earth Asia Pacific released the statement for December 10th Human Rights Day. We denounce the increasing number of Human Rights abuses against environmental & political activists, defenders of territories & collective rights. 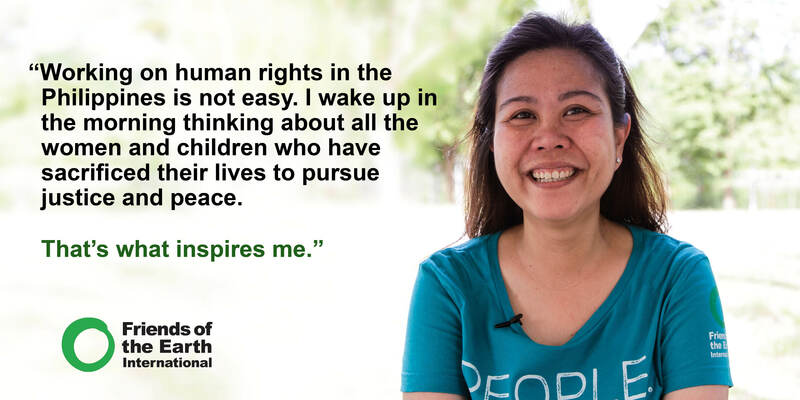 Friends of the Earth Asia Pacific (FoE Asia Pacific) calls on all governments to recognise and respect the significant role of all Environmental Human Rights Defenders (EHRDs) in protecting the environment against destructive human activities. As EHRDs, they are defenders of their territories and collective people’s rights and therefore should be accorded full protection rather than silenced for the risk they take in ensuring that we continue to have a habitable planet. FoE Asia Pacific denounces the increasing militarisation in indigenous peoples’ ancestral domains and the harassment, intimidation and killings of defenders of land, environment, as well as disrespecting indigenous and local communities’ rights in their struggles against mining, dams, agribusiness and logging. In the past year, we have seen many indigenous and local communities across the globe experience human rights abuses at the hands of governments and transnational corporations. Just a few days ago on December 3, Datu Victor Danyan (pic), his two sons and son in law were killed by the Philippine military under the guise of counter-insurgency operations. Datu Victor has led the opposition of the T’Boli-Manobos against coal mining and the encroachment of coffee plantations inside their ancestral territory in Barangay Ned, Lake Sebu, South Cotabato. Many cases involving environmental rights defenders are still unsolved: from the murder of Berta Caceres in Honduras to the assassination of Sikhosiphi Rhadebe in South Africa, from attacks on the indigenous community leaders in the Philippines to the killings of environmental and indigenous rights defenders in Mato Grosso Do Sul, Brazil. No one has been made answerable for these crimes. We reiterate the calls made by Michel Forst, the UN Special Rapporteur on the Situation of Human Rights Defenders, in 2016 for states in Asia and the Pacific to recognise the role of EHRDs, to develop protection mechanisms for EHRDs, include EHRDs in relevant decision-making mechanisms, and to sign the UN Treaty on Business and Human Rights, among others. The protection of the environment and environmental human rights defenders is a responsibility of states and the international community. We call for an end to corporate plunder of community resources, and end to attacks on environmental human rights defenders, and an end to impunity of government and corporations for environmental destruction and human rights violations.